All extra-curricula clubs held after school will require all pupils to have written consent from a parent or guardian. Pupils in Y5 & Y6 are permitted to walk home after the extra-curricular club only with written consent. Please can this be given to the member of staff leading the club or a member of the office staff. Without this consent they cannot walk home alone. 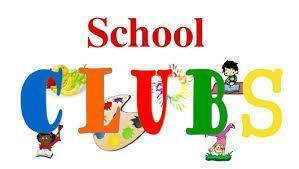 Please look out for club photos and information on our School Twitter page. Please see a list of all extra-curricular school clubs on the timetable below.